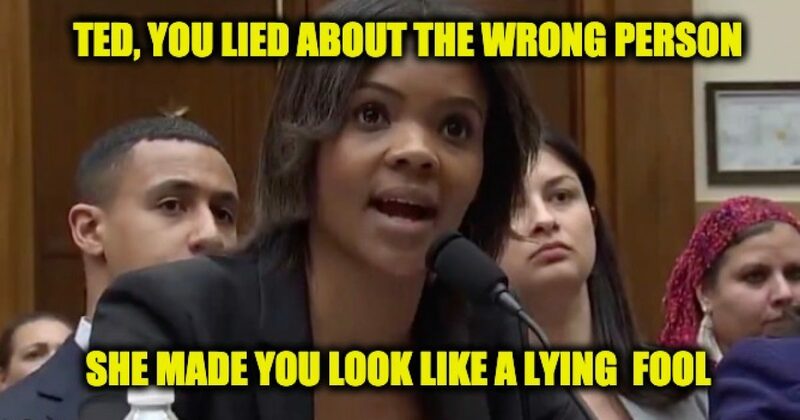 On Tuesday, Candace Owens, communications director for Turning Point USA, shredded Rep. Ted Lieu, D-Calif., at a House Judiciary hearing on white nationalism and hate crimes. Of all the people Ted Lieu could have cherry picked a recording to project a false image of someone, he chose the wrong person. Candace Owens made mincemeat of the lying Lieu. Owens continued to unleash hell on the despicable, lying California Democrat. *Nadler already sold out Israel to help Obama with the Iran deal and sold out American Jews to make Rep. Omar’s statements not seem anti-semitic. No way. Chairman Jerrold Nadler won’t let Leiu pull out his phone for Omar, he blames her hatred on a right-wing conspiracy.